The Labour party's annual conference is set to bring a £24m boost to Manchester's economy when it returns to the city at the end of September. The conference, to be held at Manchester Central convention centre over five days, is expected to attract around 11,000 delegates. 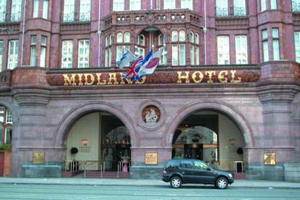 The event has been held there three times since 2006 and the Midland Hotel will be the main conference hotel, as in previous years. 'This sector accounts for 11 per cent of our conference business and contribute £139m to the local economy throughout the year,' said Andrew Stokes, chief executive of Marketing Manchester, which led the bid to bring the conference to the city.